THE KwaZulu-Natal department of Economic Development, Tourism and Environmental Affairs has rejected the impact study for the proposed Fuleni coal mine. The mine is mooted on the border of the Hluhluwe–iMfolozi nature reserves. Spokesperson for the Save our Imfolozi Wilderness, Sheila Berry, said the department’s decision is a “victory for the environment”, but cautioned this was just the ﬁrst hurdle. The proposal to start an open-pit mine on the border of the iMfolozi reserve, which is the oldest reserve in South Africa, was tabled a few months ago by iButho Coal. Background documents from iButho Coal show the mine could cover 3 550 hectares or 7 000 soccer ﬁelds. 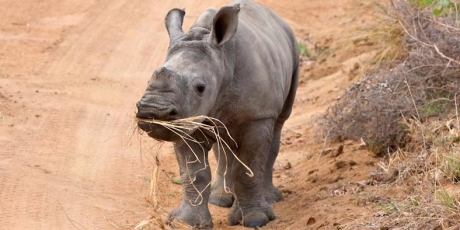 The reserve became well-known in the 1950s, when Dr Ian Player and other conservationists transported black and white rhinos from iMfolozi to reserves in KZN. The KZN government agreed with environment lawyer Kirsten Youens, for the communities and Save our Imfolozi Wilderness, that the report by Naledi Development was incomplete. Lizinda Dickson of Naledi said they have already started improving the aspects that contributed to the rejection of their impact report. The KZN government has recommended the consultation process, as well as the scope of the environment studies, must be extended. Youens insisted consultants must be appointed who can speak Zulu and understand the Zulu culture. Youens said the consultants had misrepresented the planned open-pit mine in the impact study. The proposed mine will be bordered on the south-west by the iMfolozi nature reserve and on the north-east by the iMfolozi river. Youens said the public participation process was hopelessly insufﬁcient, especially as the iSimangaliso World Heritage Site, which is downstream, will be affected by the mine. She said there are many concerns about opening a coal mine in such a sensitive and unique area. She added it also appears that only the directors of iButho will beneﬁt from the mine, because most of the coal will be exported to the Middle East, Europe, India and China. Congrats to all the hard working activists who have given their time to fighting this coal mining proposal. You have proved yourselves fit for the long race of jumping hurdles. We salute you all! It may be just the first small battle won, but lots of small battles wins the war!